The community resides south of Ma’ale Adumim, to the east and west of the road to Qedar. This community also originally came from the Tel Arad area in the Negev, and settled in the early 1950s in the area known as Um Rassas, where Ma’ale Adumim is located today. Since the 1970s, as Ma’ale Adumim gradually expanded, residents were repeatedly evacuated with each stage of the city’s development. Every new neighborhood built or each new street paved in the settlement pushed the Bedouin residents outside the city limits, until they reached their present location. Historical analysis indeed shows that the area was originally populated at the end of the 1980s, and grew significantly in the mid-1990s and in the first years of the new millennium. The Bedouin first took up residence on private lands belonging to Abu Dis, but most of the lands today are lands that the state views as suitable for declaration as state lands; the status of ownership has yet to be determined. Most of the locality is within the Ma’ale Adumim jurisdictional area. Some of it falls within the limits of the city plan, and some is in the E1 boundaries, while the clusters in the northern part of the locality are within the planning area for a new road, in territory expropriated for this purpose in 2002. 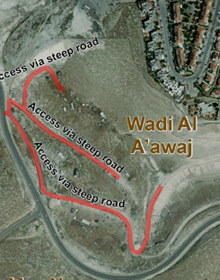 The planned course for the separation barrier passes near the locality, to the west, and in 2005, seizure orders were issued in preparation for its establishment there. Demolition orders for most of the homes west of the road were issued in 1997-1998, and again in 2005. Until today, no houses in the area were actually demolished, but a complete prohibition was issued against adding on, modifying or repairing to existing houses. 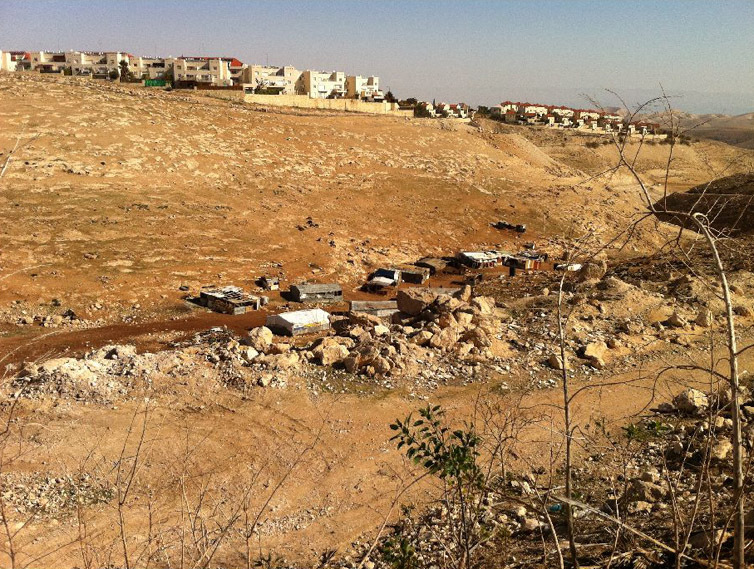 Since the establishment of Ma’ale Adumim, approximately ten wells that provided for the area of Um Rassas can no longer be used, and all cultivation of agricultural land has been prohibited. The extent of grazing lands has been drastically reduced, and today, flocks graze only in the limited area of the immediate vicinity; in the spring, shepherds migrate with them to the area of Wadi Saa’b, located east of the residential area. The flocks serve for the manufacture of milk products, both for domestic use and for trade, when possible, mainly to families in Abu Dis; distribution to market is carried out on public transportation. Residents earn their living almost exclusively from raising flocks, and since the flocks have been greatly reduced over the years, rates of employment and non-participation in the family livelihood are very high.